The Canon eCarePAK Extended Service Plan has been created so that you feel confident with your scanner purchase even beyond the Canon warranty period. Buying a Canon Scanner was a very smart choice. 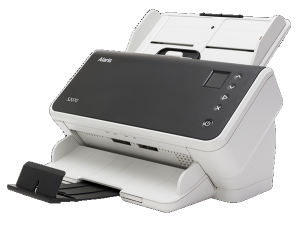 These scanners offer the highest levels of performance available. Your investment will pay off in efficiency and the satisfaction of high quality images. What is the eCarePAK and Why Do You Need It? Extended Service Plan for your scanner. 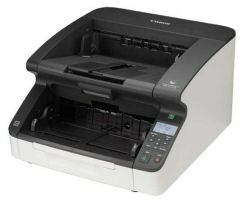 The Advanced Exchange Program is a convenient way for you to obtain a replacement Canon scanner when it requires service - before sending it back to Canon for repair. Enables you to minimize your downtime by having the defective product exchanged for a comparable refurbished product usually by the next business day (two business days for Alaska and Hawaii). The eCarePak comprehensive service package goes into effect on the day the original scanner limited warranty expires. Once your replacement scanner arrives, simply place the defective scanner in the empty case and send it back to us. See the back panel for item numbers. In order to activate your the eCarePak Extended Service Plan, you must register on-line at Canon Usa. When prompted, type in the registration number from the back of the eCarePak registration card (scratch off to reveal number). 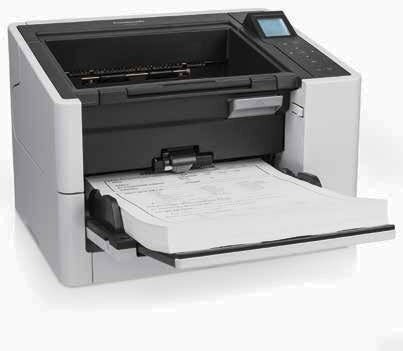 Canon U.S.A. will then send you a Plan Certificate which identifies your scanner by model and serial number. Once you receive this document, you are under the complete care of the eCarePak Extended Service Plan, and can rest assured that your product will be fully covered. Canon Information Technology Systems (CITS) is responsible for providing you with state-of-the-art technical support via telephone. The expertise of our technical personnel will serve to assist you with your problem and make every attempt at a resolution. The Help Desk is at your disposal Monday through Friday 8a.m. - 8 p.m. (EST). For eCarePak's with On-Site Service included. You can opt for nine months or a whole year of this plan, whichever is appropriate. You’ll receive toll-free phone support from our team of experts for the duration. Once we determine that your problem requires on-site repair, we’ll send a technician directly to your site. PREVENT DOWNTIME. Your eCarePak MAY include one preventive maintenance visit during the term of your agreement. Please check with Canon or your Authorized Canon Reseller for further details. World Wide Tech Services. The world wide on site technical service organization chosen by Canon to install and maintain its DR-Series Scanners. WWTS offers a complete selection of installation and service packages, and the expertise to be your company’s top choice. Proper installation gives your Canon scanner the best possible start. A field service engineer will install your new scanner on site, hook it up to your existing network, and give it a test run. The process usually, takes about one hour. Need us to install Canon accessories, such as endorsers or imprinters, with your new scanner? Simply make sure they’re on site when our field service engineer arrives. We’ll include this service as part of the plan. Call ScanTastik for pricing on your model. First, we’ll expertly install your new Canon scanner. Then we’ll train the staff members of your choice to use and maintain it. Your operators will learn how to set up and run jobs, and perform basic tasks like cleaning the scanner and clearing paper jams. We’ll also teach the basics in diagnosing errors. The whole process, including installation, takes about two hours. Call ScanTastik for pricing on your model.